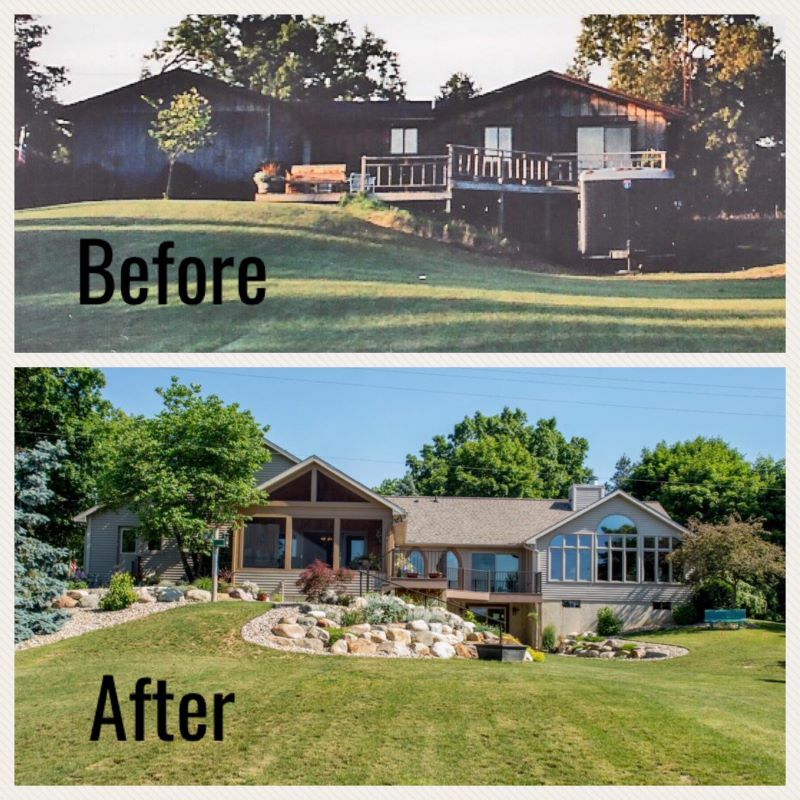 “We had lived in our small 3-bedroom, 1.5 bath contractor-grade ranch home for over 15 years, and in the mid-1990s it was time for an upgrade. We loved our rural 6-acre farm location with a great view and already set up for the horses we were showing, so moving to find what we wanted wasn’t an option. We already had in mind what we wanted in an updated home, and we needed to make some serious decisions about who would do the work for us. Touring homes featured in the Parade of Homes in our area allowed us to see, first hand, the quality of work done by local contractors and actually talk with the people who had done the work. Michigan Valley Homes in Brooklyn, MI, owned at the time by Don Gaddes, stood above the rest in quality, design, and fit and finish, so we selected Don and MVH as the contractor for this large remodeling project. We added about 50% to our home’s footprint in this renovation with an enlarged basement, main floor great room, and master suite with an existing bedroom converted into a walk-in closet. Included in the remodel package were vaulting some existing ceilings, kitchen modifications, new siding, roofing, windows, interior doors, and oak woodwork throughout. We were more than pleased with Don’s quality of work and attention to detail, and the entire remodel experience while still living in the house the entire time. Time went by and as we grew older our needs were changing. We were still using the original contractor-grade kitchen and baths from the mid-1970s and a basement laundry area. In the fall of 2014, we again went with MVH to remodel our main bathroom. By this time Don had retired and Victor Brown, who had worked for Don on our first remodel in 1995, was the new owner of Michigan Valley Homes. Vic and his crew completely rebuilt the bathroom, removing the final 1970’s harvest gold memories. This bath rebuild was just a warm-up, and allowed Vic to demonstrate his talent and skill in the pattern that Don Gaddes had set years before. Quality, fit and finish, along with attention to detail were all incorporated in our new bathroom. Even as the bath work was going on, we knew that a much larger project was just on the horizon. We were caring for aged parents at the time, but by 2016 we were ready to begin again with a third, major, renovation. Again, we selected MVH and Vic Brown to handle this project based on our past positive experience with him and our confidence that he had the talent and resources to complete this large project.